Cadbury Nigeria Plc manufactures and markets a range of chocolate malt drink mixes, sweets, powder beverages and chewing gums in Nigeria. 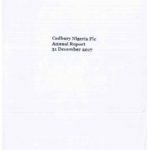 The company was established in the 1950s to source cocoa beans from Nigeria for the Cadbury Group; it then branched into re-packing imported bulk products and grew rapidly into a fully-fledged manufacturing operation producing a range of popular Cadbury brands. Cadbury Bournvita is the company’s flagship product which is a brand of malted and chocolate malt drink mixes that has energy and nutritional properties. The company introduced other Cadbury brands into its range in the 1970s; TomTom, a large black and white sweet for soothing relief; Cadbury Buttermilk, a delicious sweet with a butter and mint flavour; Tang, a popular powdered beverage; and Clorets and Trident, brands of chewing gum. 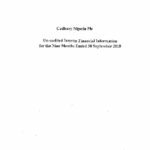 Cadbury Nigeria Plc has a 99.66% stake in Cadbury Nigeria Plc Cocoa Processing Plant which sources cocoa powder for the manufacturing of Cadbury Bournvita. 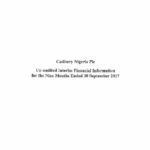 Mondelez International has a majority equity-interest of 74.97% in Cadbury Nigeria Plc through its holding in Cadbury Schweppes Overseas Limited. 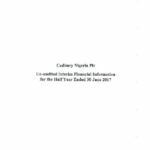 The remaining 25.03% equity-ownership is held by a diverse group of Nigerian individuals and institutional shareholders. Cadbury Nigeria Plc’s head office is in Lagos, Nigeria. Cadbury Nigeria Plc manufactures and markets a range of chocolate malt drink mixes, sweets, powder beverages and chewing gums in Nigeria. The company was established in the 1950s to source… READ MORE.